Lush Fresh Handmade Cosmetics company has a campaign supporting charities concerned with human rights, animal welfare and environmental protection. And now, one of those charities is Save Shaker Aamer. In 2013, Charity Pot donated over £2.5 million to organizations around the world. 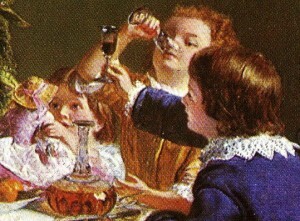 The funding generated by Charity Pot sales is essential for the survival of independent groups. All of the proceeds, minus VAT, are donated to independent grassroots charities like East Kent Against Fracking to lobby against planning application; provided Stop The Cull with binoculars to locate shooters in ‘cull zones;’ and helped rental advisory group Digs, host a series of training events to build a campaign against exploitation by private landlords. Lush has made a video talking about some of the charities that they support and why and how they do that. The Shaker Aamer Campaign held a protest vigil for Shaker Aamer on Wednesday April 9th in Parliament Square and they walked to the Foreign Office calling for the urgent release and return to the UK of British Resident Shaker Aamer, who is still held unlawfully in Guantanamo. The Shaker Aamer Campaign is still fighting to bring him back home with demonstrations around London explaining to people what is happening. 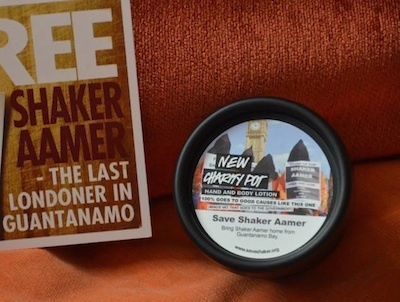 The Save Shaker Aamer Campaign will hold a protest vigil for Shaker Aamer on Wednesday April 9th in Parliament Square, opposite Parliament, from 1pm to 3pm. Wearing orange boiler-suits and black hoods, campaigners will walk to the Foreign Office, King Charles Street, to hand in letters to the Foreign Secretary William Hague calling for the urgent release and return to the UK of British Resident Shaker Aamer, who is still held unlawfully in Guantanamo. The vigil will continue opposite the Foreign Office where they will read passages from Shaker Aamer’s own words. He has found ways to send a series of letters and messages to his family and the world even from his steel cell in Guantanamo. His poignant words tell of his daily brutal treatment by the guards, his sadness of not being able to be with his children to show his love for them and his hope that, in the end, truth and justice will be restored and the black stain of Guantanamo will end. No one can forget the dignity and wisdom of his words even as he suffers the torture of solitary confinement and casual brutality of daily injustice. No one should forget Shaker’s cry from his steel cell, as recorded by CBS in November last year. 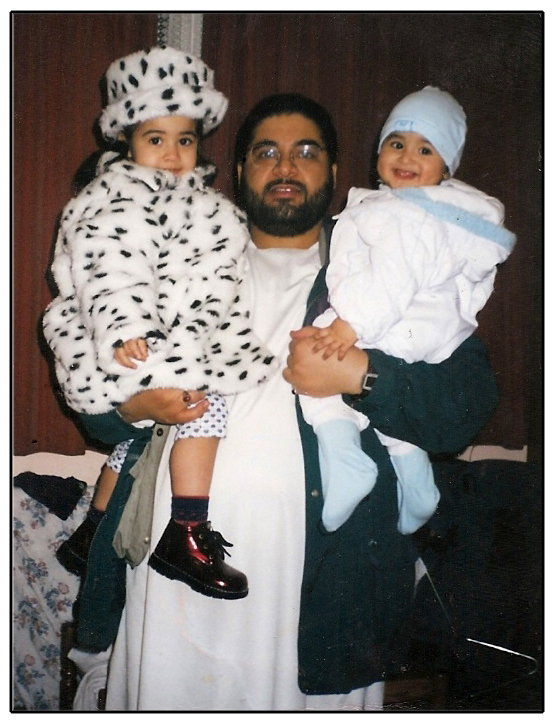 Shaker Aamer has been held in Guantanamo for over twelve years without charge or trial in Guantanamo. He has suffered harsh treatment and torture. He was cleared to leave Guantanamo in 2007 and 2010. The UK Government has called for his release and return to the UK as a matter of urgency, President Obama has pledged to close Guantanamo but still there is no news of Shaker Aamer’s return. 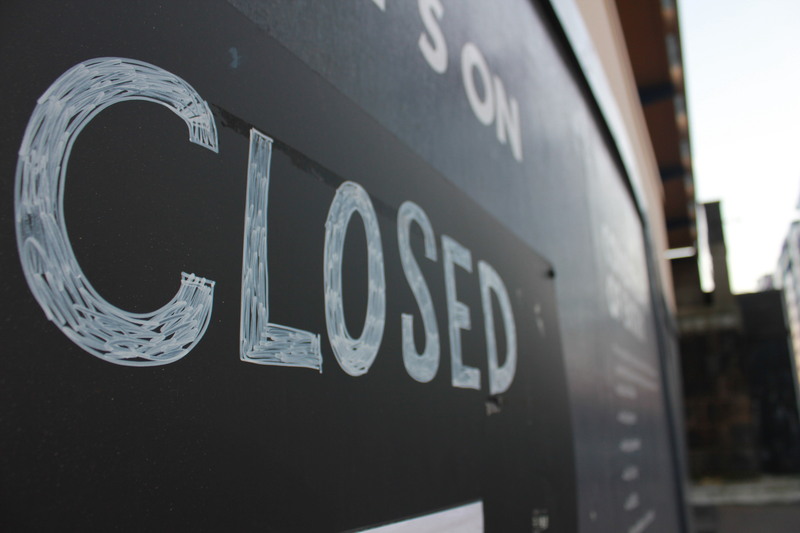 Time is running out for Shaker. He has been in Guantanamo for over twelve years. His lawyer Clive Stafford Smith has written to William Hague and stated that Shaker Aamer “is gradually dying in Guantanamo.” His health is of great concern. He has many serious conditions and suffers daily brutal treatment by the guards. At times he despairs of an end to his ordeal. 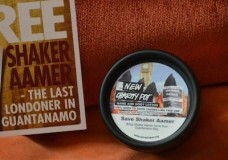 Time is running out for justice and freedom for Shaker. The UK Government must act now to bring him home. February 14th marks the day, twelve years ago, that Shaker Aamer was cruelly transported from Afghanistan to Guantanamo. 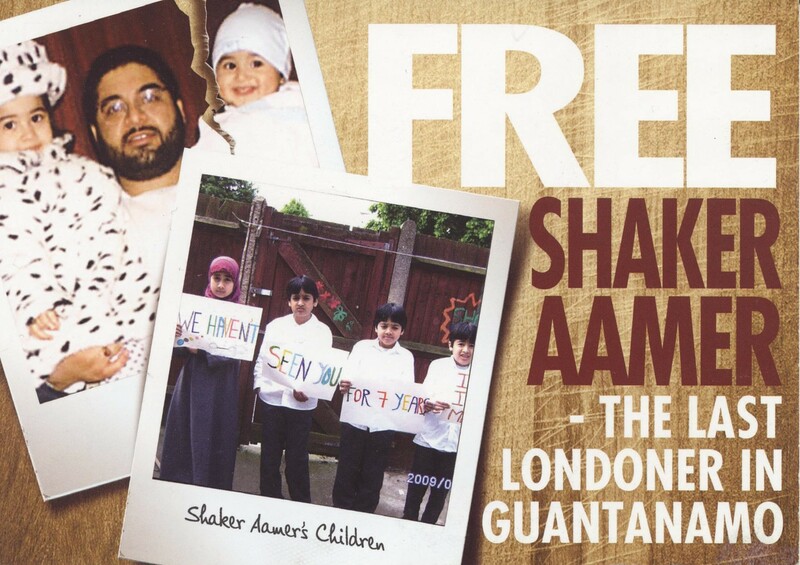 The Save Shaker Aamer Campaign will hold a protest vigil opposite M16 from 1pm to 3pm to demand Shaker Aamer’s release and return from Guantanamo to the UK. It is widely reported that M15 and M16 may be secretly briefing against Mr. Aamer to block his return, in an attempt to suppress any further allegations that UK agents have been complicit in torture abroad. Shaker Aamer has stated that UK agents were present when he was tortured in Afghanistan. He had been in Afghanistan for only a few months working for a charity to establish schools and projects to help poor communities. If MI5 and MI6 are lying about Mr. Aamer to prevent his return, they are acting against the will of Parliament. Their statements must be retracted. Mr. Aamer has been threatened to be forcibly transferred to Saudi Arabia, a country he fled from over 30 years ago. There he would be silenced forever. The UK Government has recognized Mr. Aamer’s right to return to the UK as a long-term British Resident. All the other Guantanamo British Nationals and Residents have been released to their homes and families in the UK. All of them have made allegations of complicity of torture against the UK security services which have yet to be investigated. It is time for the Government to have a public inquiry into all these allegations as was promised three years ago. Shaker’s allegations must also be heard, NOT SILENCED. Reporters from two weekly newspapers were refused entry to an event attended by Prime Minister David Cameron which was attended by the Press Association and international titles. 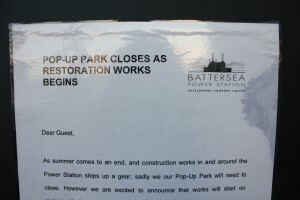 The Wandsworth Guardian and rival weekly South London Press did not receive invitations to a ground-breaking ceremony at Battersea Power Station last Thursday and were not allowed entry when their reporters attended. 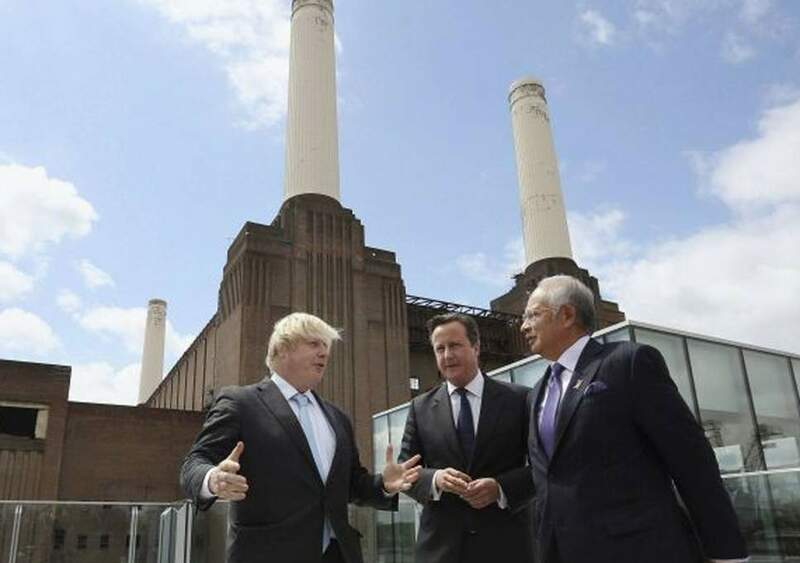 The event, which was also attended by Malaysian Prime Minister Najib Razak and London mayor Boris Johnson, was held to mark the start of work at the 39-acre site, including the creation of 3,500 luxury new homes and leisure developments, and was organised by the Battersea Power Station Development Company. 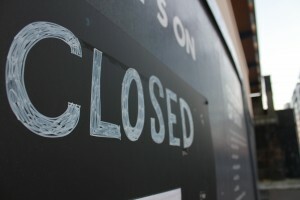 Jamie Henderson – Chief Reporter at Wandsworth Guardian said “it was disappointing not to be allowed entry because the paper had reported on the future of the site for many years. We thought an invitation would come from them. I thought I would go down anyway to see what was happening. The Wandsworth Guardian has won the support of a number of Local Councillors and the Public and Commercial Services Union which was protesting at the event. 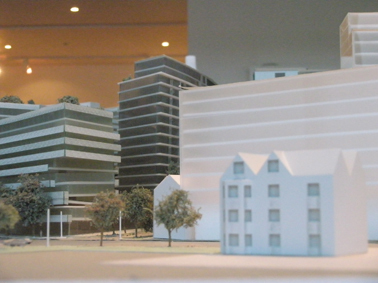 The Battersea Power Station Development Company declined to comment. Is alcohol abuse a new “scandal”? Prime Minister David Cameron said he is determined to do more to tackle alcohol abuse, which he has called “the scandal of our society”. Addressing the crowd at an hospital in north-east England today, Mr Cameron also said that recent figures show that binge drinking costs Britain 22 billion pounds a year when taking into account the whole range of issues related to it: road accidents, crime, lost productivity and, of course, health problems. There is nothing new about the negative impacts of the alcohol industry on our society, health and culture. Spectacle’s film Exodus Extended Mix explores, among other issues, the hypocrisy of a profit driven drinks industry being a licensed dealer of a legalized, but extremely harmful drug – alcohol and the prohibition of the far less harmful cannabis which criminalizes vast swathes of young people and forces the consumer to the hands of gangs who have interest in promoting the harder, more anti-community drugs like heroine, cocaine and its derivatives. Exodus from Babylon exposes the role of a beleaguered alcohol industry that was losing the youth market to free parties. The film documents how the alcohol industry set up a powerful lobby group to push for more relaxed laws and licences, how it had a role in the shutting down, commercialization and take over of rave culture and music festivals and how it sought to win back and target the youth market by presenting beer as a cool psychoactive drug. BOGOF In the spirit of the buy one get one free ethos of the alcohol pushers you can buy both these DVDs for the price of one. The abysmal Vinoly plans for Battersea Power Station that we had all hoped were finally dead and buried with the collapse of previous owners REO has come back to haunt all who care about the beautiful building and the quality of life for all those living in its shadow and the surrounding area.